A weed tree is any species or variety that has a high seed germination rate, grows rapidly, and colonizes areas quickly, out-competing other tree species. Often these trees are non-native species that only turn "weedy" when they are grown outside of their native ranges. Weed trees generally start out as ornamentals, grown specifically for their toughness and fast growth. They establish readily and, if left unchecked, create a near-monoculture in specific areas, endangering less prolific species and leaving large areas vulnerable to tree canopy destruction in the event that species-specific pests or pathogens are introduced. Norway maple is often classified as a "weed tree." Norway maple (Acer plantanoides) was originally planted as a street or park tree. After Dutch elm disease decimated the country's elms in the 1960s and '70s, these maples were often planted as replacement trees. They are adaptable, shade tolerant and grow to an impressive size -- 40 to 50 feet tall. The winged seeds spread far and wide, allowing Norway maple to colonize wooded areas and hedgerows. 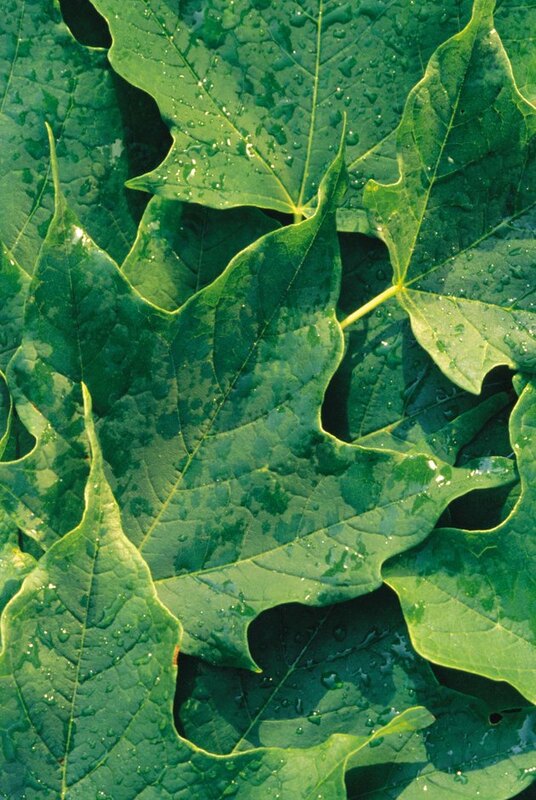 The lobed leaves resemble those of other maple species, but have a milky sap when veins are opened. Unlike some other maples, Norway leaves turn yellow in the fall and persist. Ailanthus altissima, native to China, is sometimes known as "tree of heaven." Identifying characteristics include pinnate or feathery groupings of 13 to 15 leaves; gray, slightly rough bark and an open, spreading habit. Ailanthus can grow 3 to 5 feet per season and reach 40 to 60 feet at maturity. The tiny, yellow-green flowers are borne on 8- to 16-inch-long panicles in late spring. The trees also multiply rapidly by root suckers that spring up around the bases of the trunks. White or common mulberry (Morus alba) is native to China. The leaves are alternate on the stems and can be smooth or lobed in shape. 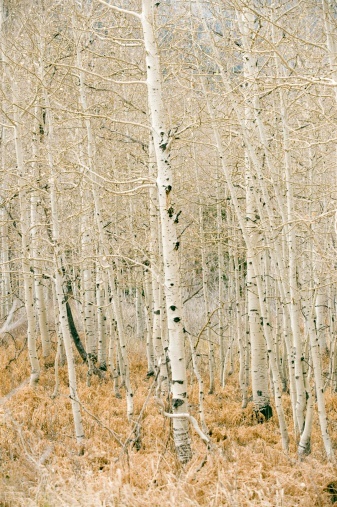 The orange-brown to brown bark exudes a white juice if nicked in warm weather. The catkin-like flowers are yellow-green, and the fruit can be white, pink or red-purple. Birds eat the sweet, edible berries and disperse them widely. The tree is considered a weed because it adapts and flourishes under a wide range of conditions, grows fast and even sprouts anew from the trunks and roots of felled specimens. The most recognizable features of black locust (Robinia pseudoacacia) are the fragrant, white flowers, borne in 4- to 8-inch-long, pendulous clusters in late spring. The trees can grow 30 to 50 feet tall with a narrow crown. The pinnate or feathery leaves are arranged in clusters of seven to 19 oval-shape leaflets. Like most other weed trees, black locust is adaptable to a variety of conditions. It self-seeds readily, and the trees are often clustered in thickets in wooded areas. Black locust is an example of a native tree that has become invasive in many areas. Elisabeth Ginsburg, a writer with over 20 years' experience, earned an M.A. from Northwestern University and has done advanced study in horticulture at the New York Botanical Garden. Her work has been published in the "New York Times," "Christian Science Monitor," "Horticulture Magazine" and other national and regional publications. What Tree Has Heart-Shaped Leaves?